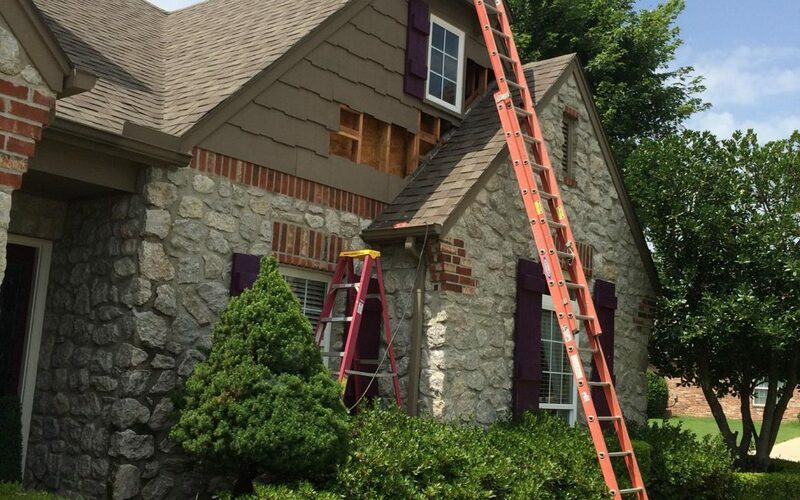 WhiteTree Company has made major exterior repairs on two homes in the last couple of months. In both cases, trim and siding had rotted away due to moisture. This is a common problem. If you are a homeowner, it seems you always notice it taking place, yet may be wondering why it is happening to your home when other homes seem to go years without this problem. The most common reason for “wood rot” takes place when siding and/or trim are touching the top side of shingles. I have attached a photo album to show a great example. One common siding material nationwide is a paper product known as “Masonite”. These sidings, often resembling wood, heavy stucco, or in this case, a shake shingle, are painted on the surface. Properly installed, the material will last for years. More often than not, masonite siding is not properly installed. For trim, the most common trim material in our marketplace is rough sawn Western Red Cedar. A softwood, both light and durable, also means it is porous. This is its greatest strength and greatest weakness. Rough cedar works well because the rough porous surface soaks up and holds paint better than most other alternatives. It also soaks up water if unpainted surfaces are exposed. This example includes both masonite siding and rough cedar trim. The first picture is the removal of warped and rotten siding. The second picture is the repaired siding. 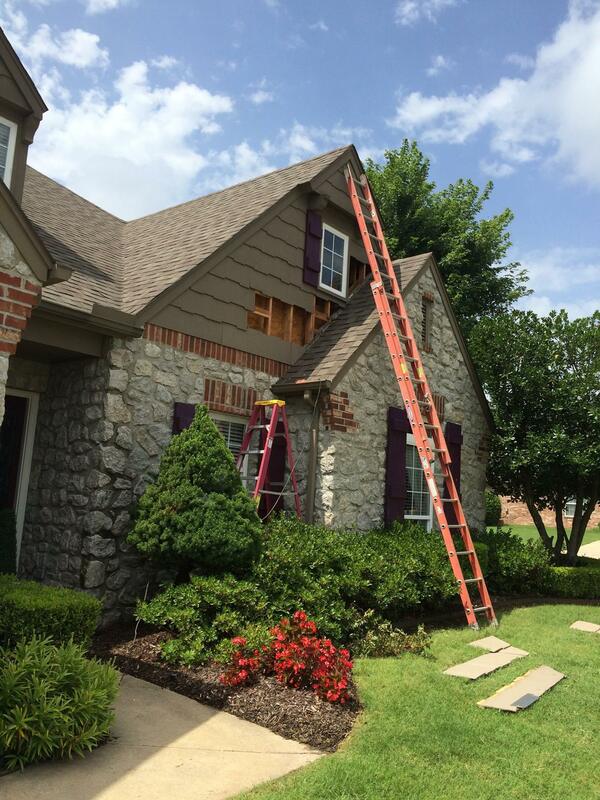 The problem happens when a contractor or homeowner installs trims and sidings touching the topside of shingles. In these cases the sidings will warp and disintegrate as it “wicks” or absorbs water from the surface of the shingle. In many cases a piece of masonite siding will rest behind a piece of cedar trim. The siding will soak up water if it is touching the topside of shingle and transfer the water to the trim. If the trim is well painted on the front, the wet wood stays wet for extended periods of time and wood rot occurs as the water cannot escape. The fix is simple. Sidings and trim should be installed at least three quarters of an inch above the surface of the shingle. This means a tiny bit of metal flashing should show between the roof and the bottom side of siding or trim. If one observes well maintained homes that seem to never have paint chipping or wood rot, you will find this healthy distance from the surface of the roof and the trim and siding. In the example, note the siding is now approximately 3/4 inches from the surface of the the roof. The eye will never notice the gap. The repair was costly though. When looking to purchase a home, this is a maintenance item to look for. 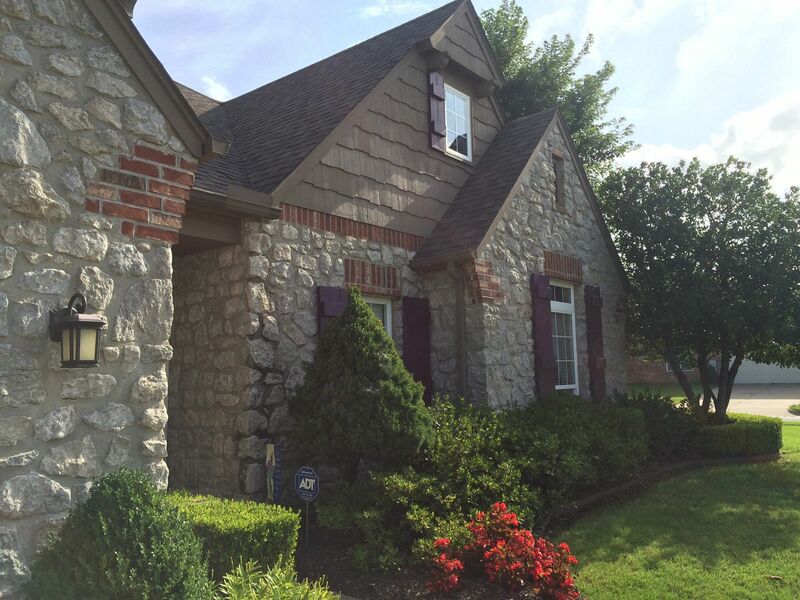 Shea Fite is a Realtor-Associate® with Skyline Realty in Tulsa, OK. Additionally, he is owner of the WhiteTree Company which does Sales Ready Services for homeowners and other Realtors®.